Seven of the biggest queens in the entertainment industry joined forces for one star-studded magazine cover. In celebration of the 30 years of Bench, seven of the biggest names in the industry posed together for one unforgettable magazine cover. 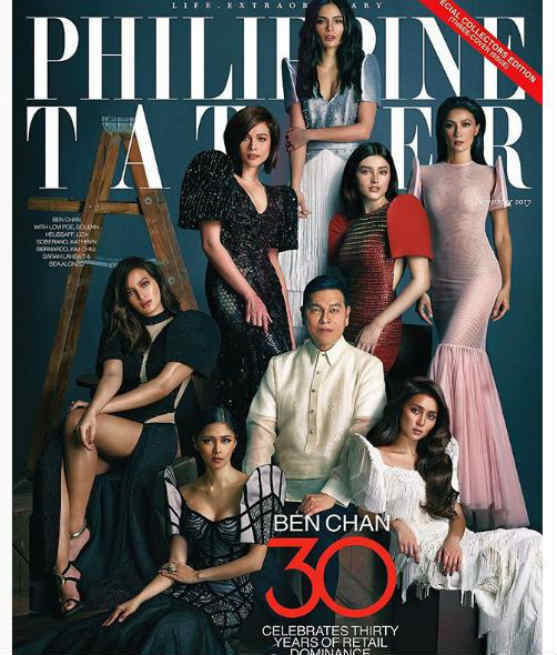 Together with the brand’s owner Ben Chan, were Lovi Poe, Solenn Heussaff, Bea Alonzo, Liza Soberano, Sarah Lahbati, Kim Chiu, and Kathryn Bernardo all wearing different styles of Maria Clara dresses.